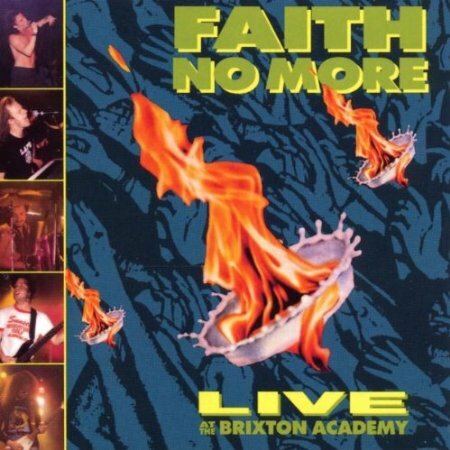 Live At The Brixton Academy is a live album by Faith No More. It was recorded in London on 28 April 1990 and also includes two songs recorded in the studio. There is a also a DVD of the concert called You Fat Bastards Faith No More Live at the Brixton Academy. The vinyl album may not have the last two songs. The Fat Bastards DVD is sometimes sold with a compilation of their videos. Remember there is also the option of having this on DVD. This entry was posted in 1990s Live Albums, Heavy Metal Live Albums and tagged 1990 live albums, 1990s hard rock, heavy metal 1990 by Paul Simister. Bookmark the permalink.